Continue to produce, publish and disseminate high quality information and analysis on the Palestinian situation to exert influence over the decision shapers and makers in Irish society. Regular donations help us to be more effective as we can plan our work well in advance. The more advance notice we can provide – the more likely we are to secure high profile speakers. You can make a regular donation to Sadaka using the secure Paypal system. Allied Irish Bank, O'Connell Street, Dublin 1, Dublin. Using either option, please fill out our Supporters Form so we know where the money is coming from and we can formally thank you! Using either option, please fill out our Supporters Form so we know where the money is coming from and we can formally thank you and then pay on-line using the secure Paypal system (you can also make a regular donation in this way). Many thanks – we really appreciate your support! Proinsias De Rossa was elected to the European Parliament as a member of the Labour Party in June 2009 for his fourth term as an MEP, having first been elected in 1989. In national politics, Proinsias formerly served as President of the Workers Party and subsequently as Leader of Democratic Left. He has been a senior member of the Labour Party for a long number of years. 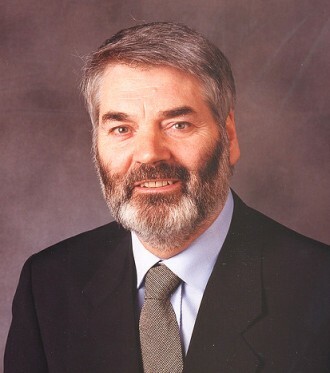 He served as Minister for Social Welfare in the Irish Government from 1994 – 1997. As a member of the European Parliament, Proinsias displayed a keen interest in foreign affairs and social policy. He was a member of the European Convention which produced the 2003 draft European constitution. On election to the European Parliament in 1999 he became a Vice-Chair of the European Parliament’s Delegation for relations with the Palestinian Legislative Council (DPLC). During his last term he was elected Chair of that Delegation. As chair of the DPLC he led Parliamentary Delegations each year to the West Bank, including Jerusalem, and Gaza. He also organised many Parliamentary Hearings in Brussels involving both Palestinian and Israeli experts and activists on the plight of Palestinians in the occupied territories and in Israel. He stepped down from Parliamentary politics in February 2012, naming the issue of Palestine as one on which he will continue to be active. The Right Reverend Msgr. Manuel Manuel Musallam was born in Birzeit, Palestine 1938. He is known far and wide as simply – Abuna Manuel (Fr. Manuel) Fr. Manuel is the retired Parish Priest of Holy Family Parish Gaza having served as its Parish Priest for 14 years. For most of that time the Israeli authorities would not allow him to visit his family and friends in the West Bank. During his time in Gaza he worked tirelessly in the provision of pastoral care to the Christian community and was noted for the unfailing help and assistance he always extended to his Muslim brothers and sisters. Fr. Manuel also ran The Holy Family Catholic School in Gaza an institution renowned for the quality of its education. This much respected institution offers an education to both Christian and Muslim children with 80% of its pupils coming from the Muslim community. While in Gaza, Fr. 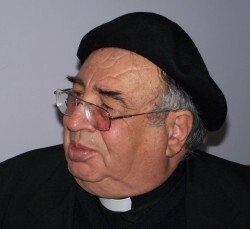 Manual also served as the Vatican’s official representative in Gaza. He is currently the President of the Christian World Department at the International Relations Commission with Fatah and is a member of the Islamic Christian Commission in Support of Jerusalem and the Holy Sites. He is the Director of its Birzeit Office.